As a way of capturing, managing, storing and delivering content and documents, an enterprise content management system (ECM) can be worth its weight in organisational gold. Traditionally, document and content management was done using an on-premise ECM, but the emergence of cloud technologies expands the ECM offering to cloud or hybrid, combining the best of both worlds. 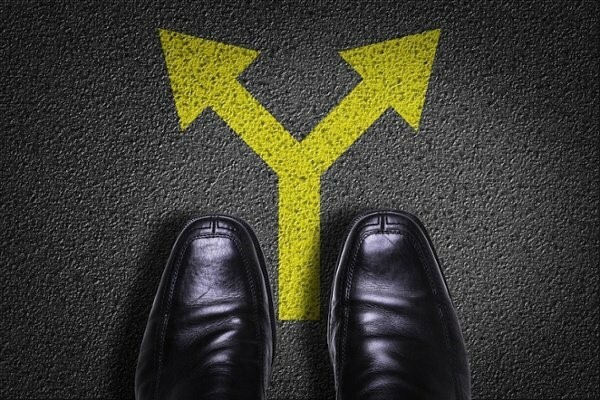 You now have to choose a suitable ECM and one of two deployment options. But which type of ECM is right for your business? Will an on-premise solution be the best fit, or is a cloud-based ECM better for your business? Or maybe a mixture of both? Here we’ll discuss what you need to know about on-premise, cloud-based and hybrid ECM solutions to help you make the best decision. Like most technologies, ECM systems were traditionally kept in-house. That’s still an option – it really depends on your requirements. Regulatory Compliance. Enforcing regulatory requirements is easier compared to cloud due to complete control of the environment. More control. Your IT department can continuously develop it to meet your specific needs, rather than those of your vendor. E.g. integrations with other systems can be relatively simpler over the intranet. Up-front cost. An on-premise ECM requires a significant up-front cost in terms of IT staff and hardware. Ongoing costs. The total cost of ownership of an ECM can be more expensive than a cloud-based solution, due to the cost of maintaining and updating the supporting infrastructure. Also, you may need to hire more IT staff. Enterprise businesses that have the facilities and resources for a large IT department. Organisations who process high-volume and large content files (think HD video or large and lengthy documents). Industries with demanding needs for information security and therefore need more customisation and greater control (especially when security threats are a daily issue). International organisations that need more customisation because they deal with more than one monetary system or tax scheme. The cloud is fast-becoming the norm for Australian organisations. In fact, technology that allows organisations to run their systems in the cloud is a major reason why Australian technology spending is projected to grow to $84.8 billion this year. But like all things, it has its strengths and weaknesses. Ease of access. For remote workers all you need is an internet connection – and you won’t run into intermittent connectivity issues like those often experienced on a VPN. Also, modern ECMs support smart devices for your mobile workforce. Less hassle. There’s no need to for hardware or storage space, and the vendor will take care of service reliability, security and maintenance for you. Low upfront and ongoing costs. Because it is a managed service, you can count on the vendors to keep an eye on security and upgrades, and focus on running your organisation. Less flexibility. The ECM can’t be customised to your specific needs, because it’s sold as a set package. Reliance on vendor. The data delivery really depends on your ECM vendor and internet provider. If they’re having technical issues, so will you – until the issue is fixed. Contract-based. Because you are working with a vendor, you are probably locked into a contract for pricing and service. If you want to switch vendors, you have to wait until the contract is over. Small-to-medium sized businesses and other companies that don’t have the facilities to house servers, or the budget to hire specialised staff. Industries who serve remote customers. Industries who work online or on-the-go. Security is often cited as an issue when it comes to cloud-based services. However, this is usually not a technology issue, as many vendors are able to offer companies a private cloud option for a premium. Instead, security is more of an internal process issue. The AFR reports that while 50% of data held in cloud-based systems is considered sensitive, 90% of Australian executives said they believed people within their companies were using systems in violation of their approved policies. A hybrid ECM system combines the best of both worlds to suit your organisational processes. For example, you could keep confidential and priority systems on-premise, and have it automatically push data through the cloud for remote or mobile staff. That way, you could have a document created internally, sent to the cloud for external feedback, and returned to original user to sign-off. Once documents are processed you can keep them stored in the archive (since you will rarely need to access them again). Allows you to meet the compliance needs of your specific industry while allowing remote staff to be efficient. Good for collaboration and review. Can be complex to set up and test. You’d have to consider the total cost of ownership of both systems. So, what kind of ECM do you need? The type of ECM system you need really depends on the specific needs of your organisation. Besides regulatory compliance, there is a bunch of other factors that you need to consider. How can you keep your ECM secure and accessible at the same time? Have you considered things like disaster recovery and backup? To make sure you’ve considered everything, download our ECM checklist – the complete guide to finding the right ECM for your business.